Photos of the Autauga County Courthouse in Prattville, Alabama. Designed by Bruce Architectural Co., the Prattville courthouse was completed in 1906. The Autauga County Courthouse, a Richardsonian Romanesque structure, is part of the Daniel Pratt Historic District, which is listed on the National Register of Historic Places. All photos in this collection © Capitolshots Photography/TwoFiftyFour Photos, LLC, ALL RIGHTS RESERVED. Please contact Capitolshots Photography at info@capitolshots.com if interested in licensing any of the images in this collection. Photos of the Historic Autauga County Courthouse (now the Old Courthouse Flea Market) in Prattville, Alabama. 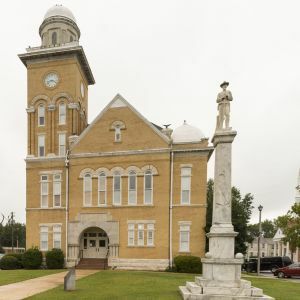 Designed by George Littlefield Smith and built in 1870 in an Italianate style, though substantially remodeled over the years, the building served as the Prattville courthouse until 1906. The Historic Autauga County Courthouse is part of the Daniel Pratt Historic District, which is listed on the National Register of Historic Places. All photos in this collection © Capitolshots Photography/TwoFiftyFour Photos, LLC, ALL RIGHTS RESERVED. Please contact Capitolshots Photography at info@capitolshots.com if interested in licensing any of the images in this collection. 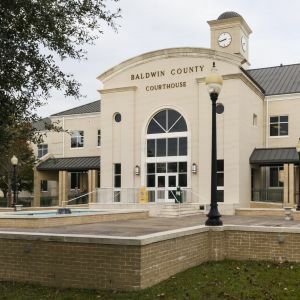 Photos of the Baldwin County Courthouse in Bay Minette, Alabama. The Bay Minette courthouse was built in 1901 but has been remodeled several times over the years. The most substantial remodeling to the Baldwin County Courthouse occurred in 1996, led by Gatlin Hudson Architects. All photos in this collection © Capitolshots Photography/TwoFiftyFour Photos, LLC, ALL RIGHTS RESERVED. Please contact Capitolshots Photography at info@capitolshots.com if interested in licensing any of the images in this collection. Photos of the Barbour County Courthouse in Clayton, Alabama. The Clayton courthouse, one of two for Barbour County, was designed by Carl Herbert Lancaster, Jr. The Barbour County Courthouse was constructed in 1961. All photos in this collection © Capitolshots Photography/TwoFiftyFour Photos, LLC, ALL RIGHTS RESERVED. Please contact Capitolshots Photography at info@capitolshots.com if interested in licensing any of the images in this collection. Photos of the Barbour County Courthouse in Eufaula, Alabama. Though Clayton is the county seat, a Barbour County courthouse has been located in both Clayton and Eufaula since 1879. The Eufaula courthouse was built in the 1910s and later enlarged. All photos in this collection © Capitolshots Photography/TwoFiftyFour Photos, LLC, ALL RIGHTS RESERVED. Please contact Capitolshots Photography at info@capitolshots.com if interested in licensing any of the images in this collection. Photos of the Bibb County Courthouse in Centreville, Alabama. The Centreville courthouse, designed by William S. Hull, was built in 1902. The Bibb County Courthouse, a Romanesque Revival structure is part of the the Centreville Historic District, which is listed on the National Register of Historic Places. All photos in this collection © Capitolshots Photography/TwoFiftyFour Photos, LLC, ALL RIGHTS RESERVED. Please contact Capitolshots Photography at info@capitolshots.com if interested in licensing any of the images in this collection. Photos of the Blount County Courthouse in Oneonta, Alabama. The Oneonta courthouse was built in 1954. The Blount County Courthouse was designed by Martin J. Lide. All photos in this collection © Capitolshots Photography/TwoFiftyFour Photos, LLC, ALL RIGHTS RESERVED. Please contact Capitolshots Photography at info@capitolshots.com if interested in licensing any of the images in this collection. Photos of the Bullock County Courthouse in Union Springs, Alabama. Designed by M.M. Tye, the Union Springs courthouse was completed in 1872. The Bullock County Courthouse, a Second Empire structure, is included in the Bullock County Courthouse Historic District, which is listed on the National Register of Historic Places. All photos in this collection © Capitolshots Photography/TwoFiftyFour Photos, LLC, ALL RIGHTS RESERVED. Please contact Capitolshots Photography at info@capitolshots.com if interested in licensing any of the images in this collection. Photos of the Butler County Courthouse in Greenville, Alabama. The Greenville courthouse, designed by B.B. Smith, was built in 1871 and completely remodeled in 1903. The Butler County Courthouse, a Romanesque Revival structure, is included in the East Commerce Street Historic District, which is listed on the National Register of Historic Places. All photos in this collection © Capitolshots Photography/TwoFiftyFour Photos, LLC, ALL RIGHTS RESERVED. Please contact Capitolshots Photography at info@capitolshots.com if interested in licensing any of the images in this collection. Photos of the Calhoun County Courthouse in Anniston, Alabama. Designed by J.W. Golucke, the Anniston courthouse was completed in 1900. The Calhoun County Courthouse, a Renaissance Revival structure, is listed on the National Register of Historic Places. All photos in this collection © Capitolshots Photography/TwoFiftyFour Photos, LLC, ALL RIGHTS RESERVED. Please contact Capitolshots Photography at info@capitolshots.com if interested in licensing any of the images in this collection. Photos of the Chambers County Courthouse in Lafayette, Alabama. Designed by Golucke And Stewart, the Lafayette courthouse was built in 1899. The Chambers County Courthouse, a Classical Revival structure, is part of the Chambers County Courthouse Square Historic District, which is listed on the National Register of Historic Places. All photos in this collection © Capitolshots Photography/TwoFiftyFour Photos, LLC, ALL RIGHTS RESERVED. Please contact Capitolshots Photography at info@capitolshots.com if interested in licensing any of the images in this collection. Photos of the Cherokee County Courthouse in Centre, Alabama. The Centre courthouse, a moderne structure, was built in 1936. The Cherokee County Courthouse was designed by Paul W. Hofferbert. All photos in this collection © Capitolshots Photography/TwoFiftyFour Photos, LLC, ALL RIGHTS RESERVED. Please contact Capitolshots Photography at info@capitolshots.com if interested in licensing any of the images in this collection. Photos of the Chilton County Courthouse in Clanton, Alabama. The Clanton courthouse was built in 1960. The Chilton County Courthouse was designed by Charles H. McCawley. All photos in this collection © Capitolshots Photography/TwoFiftyFour Photos, LLC, ALL RIGHTS RESERVED. Please contact Capitolshots Photography at info@capitolshots.com if interested in licensing any of the images in this collection. Photos of the Choctaw County Courthouse in Butler, Alabama. The Butler courthouse, designed by William B. Hull, was built in 1907. The Choctaw County Courthouse was enlarged in 1955, with L.L. Brasfield serving as architect for the enlargement. All photos in this collection © Capitolshots Photography/TwoFiftyFour Photos, LLC, ALL RIGHTS RESERVED. Please contact Capitolshots Photography at info@capitolshots.com if interested in licensing any of the images in this collection. Photos of the Clarke County Courthouse in Grove Hill, Alabama. The Grove Hill courthouse, designed by Charles H. McCauley, was built in 1955. The Clarke County Courthouse is part of the Grove Hill Courthouse Square Historic District, which is listed on the National Register of Historic Places. All photos in this collection © Capitolshots Photography/TwoFiftyFour Photos, LLC, ALL RIGHTS RESERVED. Please contact Capitolshots Photography at info@capitolshots.com if interested in licensing any of the images in this collection. Photos of the Clay County Courthouse in Ashland, Alabama. Designed by Charles W. Carlton, the Ashland courthouse was built in 1906. The Clay County Courthouse, an Italian Renaissance Revival structure, is listed on the National Register of Historic Places. All photos in this collection © Capitolshots Photography/TwoFiftyFour Photos, LLC, ALL RIGHTS RESERVED. Please contact Capitolshots Photography at info@capitolshots.com if interested in licensing any of the images in this collection. Photos of the Cleburne County Courthouse in Heflin, Alabama. Designed by C.W. Carlton, the Heflin courthouse was built in 1907. 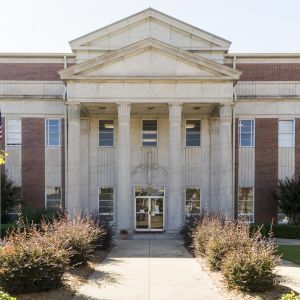 The Cleburne County Courthouse, a Classical Revival structure, is listed on the National Register of Historic Places. All photos in this collection © Capitolshots Photography/TwoFiftyFour Photos, LLC, ALL RIGHTS RESERVED. Please contact Capitolshots Photography at info@capitolshots.com if interested in licensing any of the images in this collection. Photos of the Coffee County Courthouse in Elba, Alabama. Built in 1903, the Elba courthouse was designed by Andrew J. Bryan. 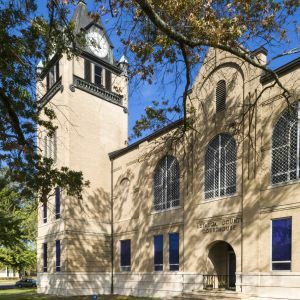 The Coffee County Courthouse, a Romanesque Revival structure, is listed on the National Register of Historic Places. Though Elba is the county seat, there is also a Coffee County courthouse in Enterprise. All photos in this collection © Capitolshots Photography/TwoFiftyFour Photos, LLC, ALL RIGHTS RESERVED. Please contact Capitolshots Photography at info@capitolshots.com if interested in licensing any of the images in this collection. Photos of the Coffee County Courthouse in Enterprise, Alabama. Though Elba is the county seat, there is an active Coffee County courthouse in both Elba and Enterprise. The Enterprise courthouse was constructed in 1998. All photos in this collection © Capitolshots Photography, ALL RIGHTS RESERVED. Please contact Capitolshots Photography at 202.727.0993 or at info@capitolshots.com if interested in licensing any of the images in this collection. Photos of the Colbert County Courthouse in Tuscumbia, Alabama. 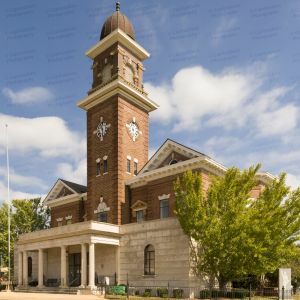 Completed in 1882, the Tuscumbia courthouse was razed in its entirety, save for its brick walls, and rebuilt, with a clock tower added, in 1909. The Colbert County Courthouse, which features Greek Revival and Italianate influences, is part of the Colbert County Courthouse Square Historic District, which is listed on the National Register of Historic Places. All photos in this collection © Capitolshots Photography/TwoFiftyFour Photos, LLC, ALL RIGHTS RESERVED. Please contact Capitolshots Photography at info@capitolshots.com if interested in licensing any of the images in this collection. Photos of the Conecuh County Courthouse in Evergreen, Alabama. The Evergreen courthouse is officially known as the Conecuh County Government Center. The Conecuh County Courthouse was built in 2006. All photos in this collection © Capitolshots Photography, ALL RIGHTS RESERVED. Please contact Capitolshots Photography at 202.727.0993 or at info@capitolshots.com if interested in licensing any of the images in this collection. Photos of the Coosa County Courthouse in Rockford, Alabama. The Rockford courthouse was remodeled into its present state in 1970. All photos in this collection © Capitolshots Photography, ALL RIGHTS RESERVED. Please contact Capitolshots Photography at 202.727.0993 or at info@capitolshots.com if interested in licensing any of the images in this collection. Photos of the Covington County Courthouse in Andalusia, Alabama. Designed by Frank Lockwood and Fredrick Ausfeld, the Andalusia courthouse was completed in 1916. The covington County Courthouse, a Beaux-Arts structure with Italianate features, is listed on the National Register of Historic Places. All photos in this collection © Capitolshots Photography, ALL RIGHTS RESERVED. Please contact Capitolshots Photography at 202.727.0993 or at info@capitolshots.com if interested in licensing any of the images in this collection. Photos of the Crenshaw County Courthouse in Luverne, Alabama. The Luverne courthouse, a modern structure, was built in 1955. All photos in this collection © Capitolshots Photography, ALL RIGHTS RESERVED. Please contact Capitolshots Photography at 202.727.0993 or at info@capitolshots.com if interested in licensing any of the images in this collection. Photos of the Cullman County Courthouse in Cullman, Alabama. The Cullman courthouse was constructed in 1966. All photos in this collection © Capitolshots Photography, ALL RIGHTS RESERVED. Please contact Capitolshots Photography at 202.727.0993 or at info@capitolshots.com if interested in licensing any of the images in this collection. Photos of the Dale County Courthouse in Ozark, Alabama. The Ozark courthouse was built in 1968. All photos in this collection © Capitolshots Photography, ALL RIGHTS RESERVED. Please contact Capitolshots Photography at 202.727.0993 or at info@capitolshots.com if interested in licensing any of the images in this collection. Photos of the Dallas County Courthouse in Selma, Alabama. The Selma courthouse was built in 1901. The Dallas County Courthouse was later completely remodeled in a modern structure in 1960. All photos in this collection © Capitolshots Photography, ALL RIGHTS RESERVED. Please contact Capitolshots Photography at 202.727.0993 or at info@capitolshots.com if interested in licensing any of the images in this collection. Photos of the Historic Dallas County Courthouse, now officially the Joseph T. Smitherman Historic Building, in Selma, Alabama. Constructed in 1847, the Greek Revival building served as the Dallas County Courthouse from 1866 to 1901. The historic Selma courthouse currently houses the Vaughan-Smitherman Museum. The Historic Dallas County Courthouse is listed on the National Register of Historic Places. All photos in this collection © Capitolshots Photography, ALL RIGHTS RESERVED. Please contact Capitolshots Photography at 202.727.0993 or at info@capitolshots.com if interested in licensing any of the images in this collection. Photos of the DeKalb County Courthouse in Fort Payne, Alabama. Built in 1950, the Fort Payne courthouse was enlarged in 1974. The DeKalb County Courthouse was later remodeled in 1999 in a redesign headed by architect Alan L. Williamson. All photos in this collection © Capitolshots Photography, ALL RIGHTS RESERVED. Please contact Capitolshots Photography at 202.727.0993 or at info@capitolshots.com if interested in licensing any of the images in this collection. Photos of the Elmore County Courthouse in Wetumpka, Alabama. The Wetumpka courthouse, a Classical Revival structure, was built in 1932. The Elmore County Courthouse is included in the East Wetumpka Commercial District, which is listed on the National Register of Historic Places. All photos in this collection © Capitolshots Photography, ALL RIGHTS RESERVED. Please contact Capitolshots Photography at 202.727.0993 or at info@capitolshots.com if interested in licensing any of the images in this collection. Photos of the Escambia County Courthouse in Brewton, Alabama. The Brewton courthouse, a modern structure, was built in 1960. All photos in this collection © Capitolshots Photography, ALL RIGHTS RESERVED. Please contact Capitolshots Photography at 202.727.0993 or at info@capitolshots.com if interested in licensing any of the images in this collection. Photos of the Historic Escambia County Courthouse, now officially known as The Leigh Place, in Brewton, Alabama. Designed by Rudolph Bundey, the building was completed in 1885 and was the first Brewton courthouse. Escambia County's previous county seat was in Pollard. A new Escambia County courthouse was built in Brewton in 1902, after which time the building was substantially remodeled and served a variety of purposes. All photos in this collection © Capitolshots Photography, ALL RIGHTS RESERVED. Please contact Capitolshots Photography at 202.727.0993 or at info@capitolshots.com if interested in licensing any of the images in this collection. Photos of the Etowah County Courthouse in Gadsden, Alabama. 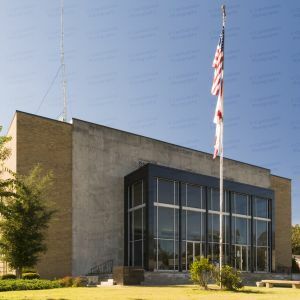 Built in 1949 and substantially remodeled in 2000, the Gadsden courthouse sits across the street from the Etowah County Judicial Building, into which most of Etowah County's judicial operations has been moved. All photos in this collection © Capitolshots Photography, ALL RIGHTS RESERVED. Please contact Capitolshots Photography at 202.727.0993 or at info@capitolshots.com if interested in licensing any of the images in this collection. Photos of the Etowah County Judicial Building in Gadsden, Alabama. 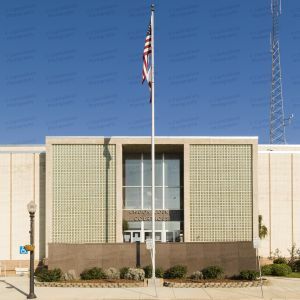 Designed by 2WR / Holmes Wilkens Architects Inc. and completed in 1999, the Gadsden courthouse is across the street from the older Etowah County Courthouse. All photos in this collection © Capitolshots Photography, ALL RIGHTS RESERVED. Please contact Capitolshots Photography at 202.727.0993 or at info@capitolshots.com if interested in licensing any of the images in this collection. Photos of the Fayette County Courthouse in Fayette, Alabama. The Fayette courthouse, a Beaux-Arts style structure, was built in 1911. The building is included in the Fayette County Courthouse District, which is listed on the National Register of Historic Places. All photos in this collection © Capitolshots Photography, ALL RIGHTS RESERVED. Please contact Capitolshots Photography at 202.727.0993 or at info@capitolshots.com if interested in licensing any of the images in this collection. Photos of the Franklin County Courthouse in Russellville, Alabama. The Russellville courthouse was built in 1955. All photos in this collection © Capitolshots Photography, ALL RIGHTS RESERVED. Please contact Capitolshots Photography at 202.727.0993 or at info@capitolshots.com if interested in licensing any of the images in this collection. Photos of the Geneva County Courthouse in Geneva, Alabama. All photos in this collection © Capitolshots Photography, ALL RIGHTS RESERVED. Please contact Capitolshots Photography at 202.727.0993 or at info@capitolshots.com if interested in licensing any of the images in this collection. Photos of the Greene County Courthouse, officially known as the William McKinley Branch Courthouse, in Eutaw, Alabama. The Eutaw courthouse was constructed in 1993. All photos in this collection © Capitolshots Photography, ALL RIGHTS RESERVED. Please contact Capitolshots Photography at 202.727.0993 or at info@capitolshots.com if interested in licensing any of the images in this collection. Photos of the Historic Greene County Courthouse in Eutaw, Alabama. The Eutaw courthouse was built in 1869 after the previous courthouse burned. The Historic Greene County Courthouse, a Greek Revival structure, is listed on the National Register of Historic Places. All photos in this collection © Capitolshots Photography, ALL RIGHTS RESERVED. Please contact Capitolshots Photography at 202.727.0993 or at info@capitolshots.com if interested in licensing any of the images in this collection. Photos of the Hale County Courthouse in Greensboro, Alabama. The Greensboro courthouse, a Classical Revival structure, was built in 1907. The Hale County Courthouse is part of the Greensboro Historic District, which is listed on the National Register of Historic Places. All photos in this collection © Capitolshots Photography, ALL RIGHTS RESERVED. Please contact Capitolshots Photography at 202.727.0993 or at info@capitolshots.com if interested in licensing any of the images in this collection. Photos of the Henry County Courthouse in Abbeville, Alabama. The Abbeville courthouse was completed in 1966. All photos in this collection © Capitolshots Photography, ALL RIGHTS RESERVED. Please contact Capitolshots Photography at 202.727.0993 or at info@capitolshots.com if interested in licensing any of the images in this collection. Photos of the Houston County Courthouse in Dothan, Alabama. The Dothan courthouse was built in 1962. The exterior of the Houston County Courthouse was substantially redesigned between 2001 and 2003, with Wade Parrish %26 Associates leading the redesign. All photos in this collection © Capitolshots Photography, ALL RIGHTS RESERVED. Please contact Capitolshots Photography at 202.727.0993 or at info@capitolshots.com if interested in licensing any of the images in this collection. Photos of the Jackson County Courthouse in Scottsboro, Alabama. Designed by Richard H. Hunt, the Scottsboro courthouse was constructed in 1912. The Jackson County Courthouse, a Classical Revival structure, is included in the Scottsboro Public Square Historic District, which is listed on the National Register of Historic Places. All photos in this collection © Capitolshots Photography, ALL RIGHTS RESERVED. Please contact Capitolshots Photography at 202.727.0993 or at info@capitolshots.com if interested in licensing any of the images in this collection. Photos of the Jefferson County Courthouse in Birmingham, Alabama. Though Birmingham is the county seat, an active Jefferson County courthouse is in Bessemer as well. Designed by Holabird %26 Root and built in 1931, the Birmingham courthouse, a moderne structure, is listed on the National Register of Historic Places. All photos in this collection © Capitolshots Photography, ALL RIGHTS RESERVED. Please contact Capitolshots Photography at 202.727.0993 or at info@capitolshots.com if interested in licensing any of the images in this collection. Photos of the former Jefferson County Courthouse in Bessemer, Alabama. 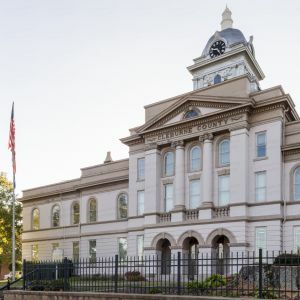 Though Birmingham is the county seat, an additional courthouse was authorized by the State Legislature for Bessemer in the early 1900s as preparations were made to split the western half of Jefferson County off into its own county -- a split which never came. The Bessemer courthouse, built in 1920, was replaced by the Jefferson County Bessemer Justice Center, completed on the same block in Spring 2009. The former Jefferson County Courthouse was slated for renovation for use by the Jefferson County Family Court. All photos in this collection © Capitolshots Photography, ALL RIGHTS RESERVED. Please contact Capitolshots Photography at 202.727.0993 or at info@capitolshots.com if interested in licensing any of the images in this collection. Photos of the Lamar County Courthouse in Vernon, Alabama. The Vernon courthouse was first built in 1909 as a Classical Revival structure by architect Chamberlain %26 Company. The Lamar County Courthouse was later substantially remodeled in 1948 by William Rosamond. All photos in this collection © Capitolshots Photography, ALL RIGHTS RESERVED. Please contact Capitolshots Photography at 202.727.0993 or at info@capitolshots.com if interested in licensing any of the images in this collection. Photos of the Lamar County Judicial Center in Vernon, Alabama. The Vernon courthouse is located just behind the Lamar County Courthouse on the square. All photos in this collection © Capitolshots Photography, ALL RIGHTS RESERVED. Please contact Capitolshots Photography at 202.727.0993 or at info@capitolshots.com if interested in licensing any of the images in this collection. Photos of the Lauderdale County Courthouse in Florence, Alabama. The Florence courthouse was built in 1965. All photos in this collection © Capitolshots Photography, ALL RIGHTS RESERVED. Please contact Capitolshots Photography at 202.727.0993 or at info@capitolshots.com if interested in licensing any of the images in this collection. Photos of the Lawrence County Courthouse in Moulton, Alabama. The Moulton courthouse, a moderne building, was completed in 1936. The Lawrence County Courthouse is part of the Moulton Courthouse Square Historic District, which is listed on the National Register of Historic Places. All photos in this collection © Capitolshots Photography, ALL RIGHTS RESERVED. Please contact Capitolshots Photography at 202.727.0993 or at info@capitolshots.com if interested in licensing any of the images in this collection. Photos of the Lee County Courthouse in Opelika, Alabama. Designed by Andrews %26 Stevens and built in 1896, the Opelika courthouse, a Classical Revival structure, is listed on the National Register of Historic Places. 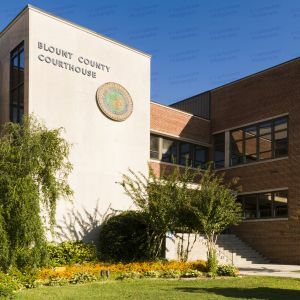 The Lee County Courthouse hosts most official business of Lee County, though the county's judicial functions have moved to the Lee County Judicial Center. All photos in this collection © Capitolshots Photography, ALL RIGHTS RESERVED. Please contact Capitolshots Photography at 202.727.0993 or at info@capitolshots.com if interested in licensing any of the images in this collection. Photos of the Lee County Justice Center in Opelika, Alabama. The Opelika courthouse is officially known as the T.K. Jr. Justice Center. Designed by Lancaster %26 Lancaster, the Lee County Justice Center was built in 1984. All photos in this collection © Capitolshots Photography, ALL RIGHTS RESERVED. Please contact Capitolshots Photography at 202.727.0993 or at info@capitolshots.com if interested in licensing any of the images in this collection. Photos of the Limestone County Courthouse in Athens, Alabama. The Athens courthouse was built in 1919. The Limestone County Courthouse, a Classical Revival structure, is part of the Athens Courthouse Square Commercial Historic District, which is listed on the National Register of Historic Places. All photos in this collection © Capitolshots Photography, ALL RIGHTS RESERVED. Please contact Capitolshots Photography at 202.727.0993 or at info@capitolshots.com if interested in licensing any of the images in this collection. Photos of the Lowndes County Courthouse in Hayneville, Alabama. 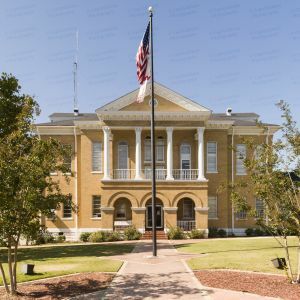 Built between 1856-58 and significantly enlarged in 1905, the Hayneville courthouse, a Greek Revival structure, is one of four antebellum courthouses still in use in Alabama. The Lowndes County Courthouse is listed on the National Register of Historic Places. All photos in this collection © Capitolshots Photography, ALL RIGHTS RESERVED. Please contact Capitolshots Photography at 202.727.0993 or at info@capitolshots.com if interested in licensing any of the images in this collection. Photos of the Macon County Courthouse in Tuskegee, Alabama. Designed by J.W. Golucke, the Tuskegee courthouse was built in 1905. The Macon County Courthouse, a Romanesque Revival structure, is listed on the National Register of Historic Places. All photos in this collection © Capitolshots Photography, ALL RIGHTS RESERVED. Please contact Capitolshots Photography at 202.727.0993 or at info@capitolshots.com if interested in licensing any of the images in this collection. Photos of the Madison County Courthouse in Huntsville, Alabama. The Huntsville courthouse was built in 1966. All photos in this collection © Capitolshots Photography, ALL RIGHTS RESERVED. Please contact Capitolshots Photography at 202.727.0993 or at info@capitolshots.com if interested in licensing any of the images in this collection. Photos of the Marengo County Courthouse in Linden, Alabama. The Linden courthouse was built in 1966 after the previous Marengo County courthouse burned down. All photos in this collection © Capitolshots Photography, ALL RIGHTS RESERVED. Please contact Capitolshots Photography at 202.727.0993 or at info@capitolshots.com if interested in licensing any of the images in this collection. Photos of the historic Marengo County Courthouse in Linden, Alabama. Constructed in 1848, the Greek Revival structure served as the Marengo county courthouse until 1903, except for a few years during Reconstruction when the county seat was moved to Demopolis. After a newer courthouse was built in Linden, the building served as a school, a church, and an American Legion hall. The former Linden courthouse, which currently stands vacant, is listed on the National Register of Historic Places. All photos in this collection © Capitolshots Photography, ALL RIGHTS RESERVED. Please contact Capitolshots Photography at 202.727.0993 or at info@capitolshots.com if interested in licensing any of the images in this collection. Photos of the Marion County Courthouse in Hamilton, Alabama. The Hamilton courthouse was built in 1970, completely surrounding and enclosing the older Marion County courthouse in the process. All photos in this collection © Capitolshots Photography, ALL RIGHTS RESERVED. Please contact Capitolshots Photography at 202.727.0993 or at info@capitolshots.com if interested in licensing any of the images in this collection. Photos of the Marshall County Courthouse in Albertville, Alabama. Though Guntersville is the county seat, frequent flooding of the Tennessee River used to leave the courthouse inaccessible, leading the Alabama Legislature to authorize the construction of a second Marshall County courthouse in Albertville in 1919. The existing Albertville courthouse, a moderne structure, was erected in 1935. All photos in this collection © Capitolshots Photography, ALL RIGHTS RESERVED. Please contact Capitolshots Photography at 202.727.0993 or at info@capitolshots.com if interested in licensing any of the images in this collection. 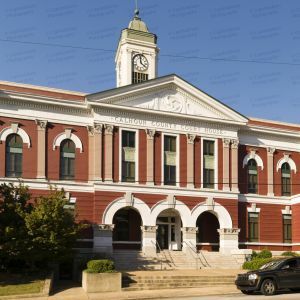 Photos of the Marshall County Courthouse in Guntersville, Alabama. Though Guntersville is the county seat, there is also a Marshall County Courthouse in Albertville. The Guntersville courthouse was erected in 1935 and redesigned by Martin J. Lide in 1963. All photos in this collection © Capitolshots Photography, ALL RIGHTS RESERVED. Please contact Capitolshots Photography at 202.727.0993 or at info@capitolshots.com if interested in licensing any of the images in this collection. Photos of the Mobile Government Plaza in Mobile, Alabama. Designed by Harry Goleman, Mario Bolullo and Fred Woods, the Mobile Government Plaza, which serves as the Mobile County courthouse and administration building, was completed in 1994. All photos in this collection © Capitolshots Photography, ALL RIGHTS RESERVED. Please contact Capitolshots Photography at 202.727.0993 or at info@capitolshots.com if interested in licensing any of the images in this collection. Photos of the Monroe County Courthouse in Monroeville, Alabama. Completed in 1963, the Monroeville courthouse sits next door to the historic Monroe County Courthouse, now the Monroe County Heritage Museum, made famous by the novel and film “To Kill A Mockingbird.” All photos in this collection © Capitolshots Photography, ALL RIGHTS RESERVED. Please contact Capitolshots Photography at 202.727.0993 or at info@capitolshots.com if interested in licensing any of the images in this collection. Photos of the historic Monroe County Courthouse, now officially the Monroe County Heritage Museum, in Monroeville, Alabama. Designed by A.J. Bryan %26 Co. and constructed in 1903, the Monroeville courthouse, a Romanesque revival structure, served as the Monroe County Courthouse until a newer courthouse was constructed next door in 1963. 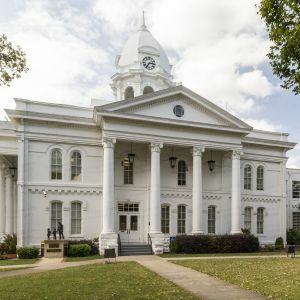 The building has achieved fame through the novel and film “To Kill A Mockingbird.” The historic Monroe County Courthouse is listed on the National Register of Historic Places. All photos in this collection © Capitolshots Photography, ALL RIGHTS RESERVED. Please contact Capitolshots Photography at 202.727.0993 or at info@capitolshots.com if interested in licensing any of the images in this collection. Photos of the historic Monroe County courthouse, now officially Masonic Lodge No. 3, in Perdue Hill, Alabama. Built in 1824 at Fort Claiborne, it is the oldest building in Monroe County. It served as the Monroe County Courthouse until 1832, when the county seat was moved to Monroeville. The Perdue Hill courthouse was moved to its current location in 1884. All photos in this collection © Capitolshots Photography, ALL RIGHTS RESERVED. Please contact Capitolshots Photography at 202.727.0993 or at info@capitolshots.com if interested in licensing any of the images in this collection. Photos of the Montgomery County Courthouse in Montgomery, Alabama. The Montgomery courthouse, built in 1987, was designed by Pearson, Humphries, Jones %26 Assoc. The Montgomery County Courthouse is officially known as the Phelps-Price Justice Center. All photos in this collection © Capitolshots Photography, ALL RIGHTS RESERVED. Please contact Capitolshots Photography at 202.727.0993 or at info@capitolshots.com if interested in licensing any of the images in this collection. Photos of the Morgan County Courthouse in Decatur, Alabama. The Decatur courthouse was built in 1975. All photos in this collection © Capitolshots Photography, ALL RIGHTS RESERVED. Please contact Capitolshots Photography at 202.727.0993 or at info@capitolshots.com if interested in licensing any of the images in this collection. Photos of the historic Morgan County Courthouse in Somerville, Alabama. 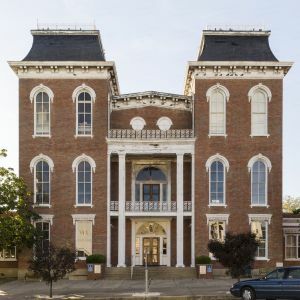 Built in 1837, the Federal-style building served as a courthouse until the county seat for Morgan County moved from Somerville to Decatur in 1891. The building later served as Somerville Town Hall. The historic Morgan County Courthouse is listed on the National Register of Historic Places. All photos in this collection © Capitolshots Photography, ALL RIGHTS RESERVED. Please contact Capitolshots Photography at 202.727.0993 or at info@capitolshots.com if interested in licensing any of the images in this collection. Photos of the Perry County Courthouse in Marion, Alabama. Completed in 1856, the Perry County Courthouse, a Greek revival structure, is one of four antebellum courthouses still in use in Alabama. It is part of the Marion Courthouse Square Historic District, which is listed on the National Register of Historic Places. All photos in this collection © Capitolshots Photography, ALL RIGHTS RESERVED. Please contact Capitolshots Photography at 202.727.0993 or at info@capitolshots.com if interested in licensing any of the images in this collection. Photos of the historic Pickens County Courthouse in Carrollton, Alabama. The Pickens County Courthouse, an Italianate structure, was completed in 1878 and is listed on the National Register of Historic Places. The Carrollton courthouse is famous for a ghostly image which can be seen in one of its windows. Legend holds that it is the face of Henry Wells, who had been falsely accused of burning down the town's previous courthouse and was lynched on a stormy night in 1878. All photos in this collection © Capitolshots Photography, ALL RIGHTS RESERVED. Please contact Capitolshots Photography at 202.727.0993 or at info@capitolshots.com if interested in licensing any of the images in this collection. Photos of the Pickens County Judicial Center in Carrollton, Alabama. The Carrollton courthouse is across the street from the historic Pickens County Courthouse. All photos in this collection © Capitolshots Photography, ALL RIGHTS RESERVED. Please contact Capitolshots Photography at 202.727.0993 or at info@capitolshots.com if interested in licensing any of the images in this collection. Photos of the Pike County Courthouse in Troy, Alabama. The Troy courthouse was constructed in 1952 and later renovated. All photos in this collection © Capitolshots Photography, ALL RIGHTS RESERVED. Please contact Capitolshots Photography at 202.727.0993 or at info@capitolshots.com if interested in licensing any of the images in this collection. Photos of the Randolph County Courthouse in Wedowee, Alabama. The Wedowee courthouse was designed by Chambless-Killingsworth %26 Assoc. and was built in 1985. All photos in this collection © Capitolshots Photography, ALL RIGHTS RESERVED. Please contact Capitolshots Photography at 202.727.0993 or at info@capitolshots.com if interested in licensing any of the images in this collection. Photos of the Russell County Courthouse in Phenix City, Alabama. The Phenix City Courthouse, a Classical Revival structure, was built in 1938. All photos in this collection © Capitolshots Photography, ALL RIGHTS RESERVED. Please contact Capitolshots Photography at 202.727.0993 or at info@capitolshots.com if interested in licensing any of the images in this collection. Photos of the Shelby County Courthouse in Columbiana, Alabama. The Columbiana courthouse, a Beaux-Arts structure, was completed in 1908. All photos in this collection © Capitolshots Photography, ALL RIGHTS RESERVED. Please contact Capitolshots Photography at 202.727.0993 or at info@capitolshots.com if interested in licensing any of the images in this collection. Photos of the historic Shelby County Courthouse in Columbiana, Alabama. Built in 1854, the building served as the Shelby County Courthouse until 1908. It was later Columbiana City Hall, and, since 1982, it has hosted the Shelby County Museum %26 Archives. The historic Columbiana courthouse, remodeled in a classical Jeffersonian style, is listed on the National Register of Historic Places. All photos in this collection © Capitolshots Photography, ALL RIGHTS RESERVED. Please contact Capitolshots Photography at 202.709.7273 or at info@capitolshots.com if interested in licensing any of the images in this collection. Photos of the St. Clair County Courthouse in Ashville, Alabama. St. Clair County has two county seats, Ashville and Pell City, with an active St. Clair County courthouse in each. 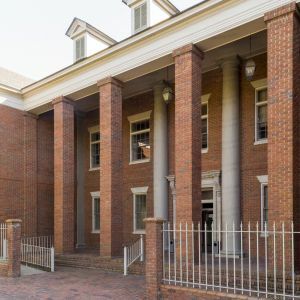 The antebellum Ashville courthouse, a Greek Revival structure, was built in 1844 and is part of the Ashville Historic District, which is listed on the National Register of Historic Places. All photos in this collection © Capitolshots Photography, ALL RIGHTS RESERVED. Please contact Capitolshots Photography at 202.709.7273 or at info@capitolshots.com if interested in licensing any of the images in this collection. 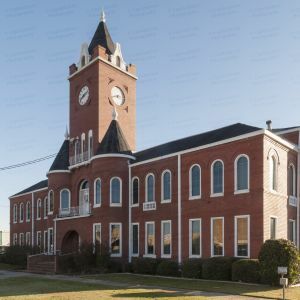 Photos of the St. Clair County Courthouse in Pell City, Alabama. St. Clair County has two county seats, Pell City and Ashland, with an active St. Clair County courthouse in each. The Pell City courthouse was substantially renovated in 2001 by McCauley Associates. All photos in this collection © Capitolshots Photography, ALL RIGHTS RESERVED. Please contact Capitolshots Photography at 202.709.7273 or at info@capitolshots.com if interested in licensing any of the images in this collection. Photos of the Sumter County Courthouse in Livingston, Alabama. Designed by C.H. Dabbs %26 Co., the Livingston courthouse was constructed in 1902. The Sumter County Courthouse, a Beaux-Arts structure, is listed on the National Register of Historic Places. All photos in this collection © Capitolshots Photography, ALL RIGHTS RESERVED. Please contact Capitolshots Photography at 202.709.7273 or at info@capitolshots.com if interested in licensing any of the images in this collection. Photos of the Talladega County Courthouse in Talladega, Alabama. Built in 1836, the Talladega County Courthouse is the oldest courthouse in continuous use in Alabama. The antebellum structure is part of the Talladega Courthouse Square Historic District, which is listed on the National Register of Historic Places. All photos in this collection © Capitolshots Photography, ALL RIGHTS RESERVED. Please contact Capitolshots Photography at 202.709.7273 or at info@capitolshots.com if interested in licensing any of the images in this collection. Photos of the Talladega County Judicial Building in Talladega, Alabama. All photos in this collection © Capitolshots Photography, ALL RIGHTS RESERVED. Please contact Capitolshots Photography at 202.709.7273 or at info@capitolshots.com if interested in licensing any of the images in this collection. Photos of the Tallapoosa County Courthouse in Dadeville, Alabama. The Dadeville courthouse was completed around 1962. All photos in this collection © Capitolshots Photography, ALL RIGHTS RESERVED. Please contact Capitolshots Photography at 202.709.7273 or at info@capitolshots.com if interested in licensing any of the images in this collection. Photos of the Tuscaloosa County Courthouse in Tuscaloosa, Alabama. The Tuscaloosa courthouse was built in 1964. All photos in this collection © Capitolshots Photography, ALL RIGHTS RESERVED. Please contact Capitolshots Photography at 202.709.7273 or at info@capitolshots.com if interested in licensing any of the images in this collection. Photos of the Walker County Courthouse in Jasper, Alabama. Designed by Charles H. McCauley, the Jasper courthouse was built in 1933. The Walker County Courthouse, an Art Deco structure, is part of the Jasper Downtown Historic District, which is listed on the National Register of Historic Places. All photos in this collection © Capitolshots Photography, ALL RIGHTS RESERVED. Please contact Capitolshots Photography at 202.709.7273 or at info@capitolshots.com if interested in licensing any of the images in this collection. Photos of the Washington County Courthouse in Chatom, Alabama. The Chatom courthouse was built in 1964. All photos in this collection © Capitolshots Photography, ALL RIGHTS RESERVED. Please contact Capitolshots Photography at 202.709.7273 or at info@capitolshots.com if interested in licensing any of the images in this collection. Photos of the Wilcox County Courthouse in Camden, Alabama. The antebellum 1857 Camden courthouse, a Greek Revival structure, also houses the Wilcox County Public Library. The building is included within the Wilcox County Courthouse Historic District, which is listed on the National Register of Historic Places. All photos in this collection © Capitolshots Photography, ALL RIGHTS RESERVED. Please contact Capitolshots Photography at 202.709.7273 or at info@capitolshots.com if interested in licensing any of the images in this collection. Photos of the Winston County Courthouse in Double Springs, Alabama. 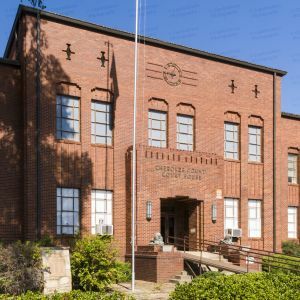 The Double Springs courthouse, a Classical Revival structure, was designed by Warren, Knight %26 Davis and built in 1929. The Winston County Courthouse is listed on the National Register of Historic Places. All photos in this collection © Capitolshots Photography, ALL RIGHTS RESERVED. Please contact Capitolshots Photography at 202.709.7273 or at info@capitolshots.com if interested in licensing any of the images in this collection. 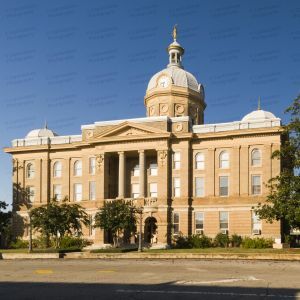 Royalty-free licenses are available for all of Capitolshots Photography’s photos of Alabama courthouses (without the watermarks, of course). You may email us if you are interested in licensing any image, which are available at several sizes, from 72-dpi web-quality JPGs all the way up to TIF files. You may also visit our ordering page for additional information. 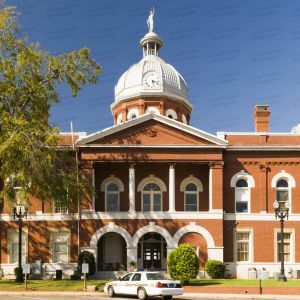 Looking for prints of Alabama county courthouses? Our images work great for decorative art, presentations, office decor and gifts. All sizes available (without the watermarks). You may email us if you are interested in purchasing a print. You may also visit our ordering page for additional information. 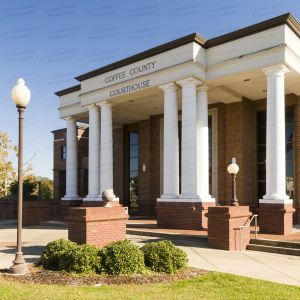 Click on any of the galleries of Alabama courthouses above to view the images for each courthouse. The file name, which you will need to place your order, will be at the beginning of the caption underneath each image after enlargement.